Puma Basket Fierce reaches for new heights with this brave new silhouette. Bored of your solid black sneakers and scuffed winter boots? Refresh your look with one of these five styles to watch this February. Which pair are you going to try? Vans Old Skool in Black Glitter puts a subtle sparkle in your step. Vans Old Skool Checkerboard in White Black reverses the original color scheme for a whole new look. TOMS Alpargata Heritage Canvas in Majolica Blue is the classic silhouette in a tempting new hue. 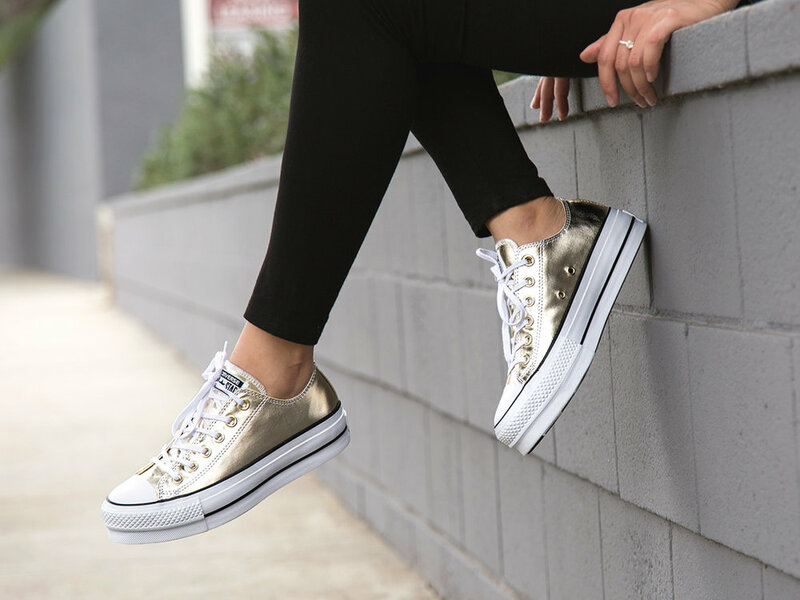 Converse Chuck Taylor All Star Platform offers a lift in metallic gold.